These Sweet and Savory Snacks are great for entertaining those hungry house guests, or just as a little treat for yourself. 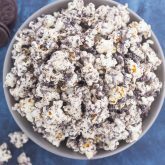 Easy to make and even better to eat, you’ll love the fresh and simple flavors of this tasty snack! Sometimes you just need a snack. Whether those mid-day hunger pangs strike at work, you’re headed home from the gym, or it’s time to pick up the kids, food is often on our minds. Am I right? I know it is for me, and that’s when I try to get creative in the kitchen…even with snacks! Life can get crazy, but we all need a little deliciousness in our life. And that’s where RITZ Crackers and cream cheese comes into play. It’s so simple to create a sweet and savory snack using these two items. 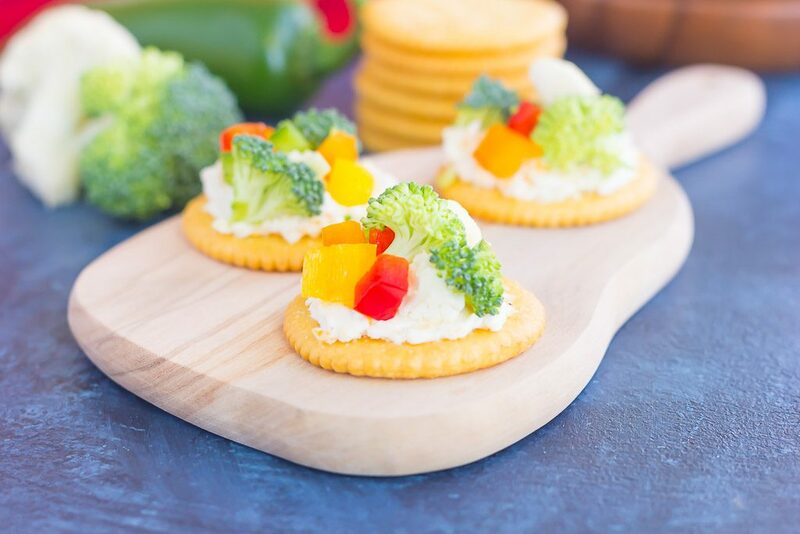 Whether you’re in the mood to entertain some party guests or just want a treat all to yourself, RITZ Crackers and some cream cheese will hit the spot! After stopping at Jewel (my favorite local grocery store), I couldn’t wait to try out a few sweet and savory recipes to cure my grumbling stomach. 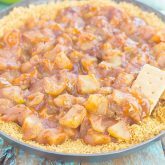 And since I’m all about the easy recipes on Pumpkin ‘N Spice, you can bet that I was in the mood for something simple, fast, and delicious, without a lot of prep work! First on my list came a savory snack cracker, Jalapeño Popper Toppers. 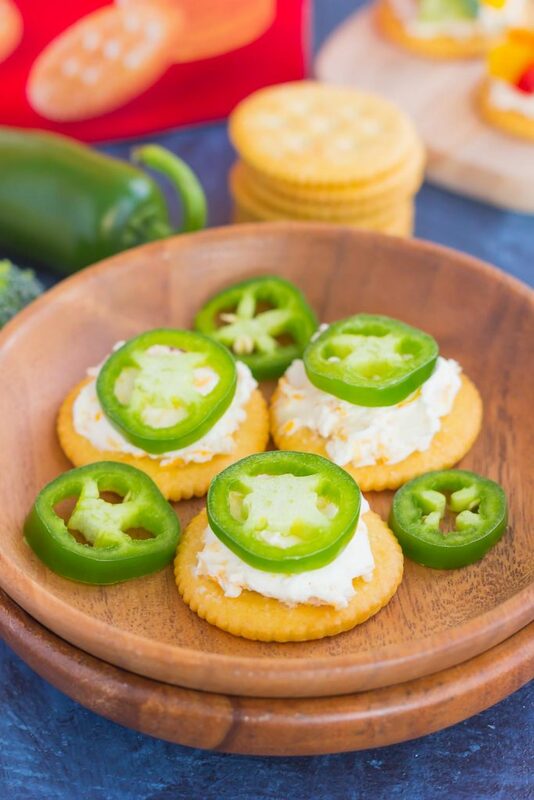 A smear of cream cheese, mixed with some shredded Mexican cheese is spread on top of a RITZ Cracker and then topped with a jalapeño slice. Fresh, flavorful, and with a little kick. If you like things with a touch of heat, then you’ll love this snack topper! Next came another savory creation: Veggie Bites. It has the same base as the Jalapeno Popper Topper, with cream cheese, shredded cheese, and a touch of garlic powder. I then sprinkled on some cauliflower, broccoli, and mixed peppers. Easy peasy and oh-so good! 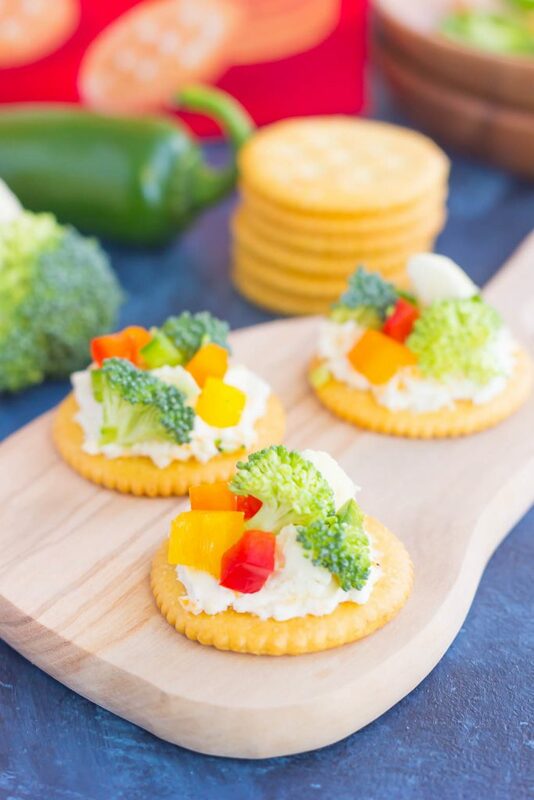 If you love veggies like I do, then this cracker is for you. But, let’s face it, we all need a little something sweet in our lives too, right? That’s where these Strawberry Cheesecake Bites came into play. 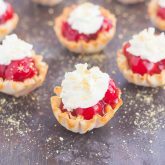 A dollop of cream cheese covers a RITZ Cracker, followed by a spoonful of strawberry pie filling. 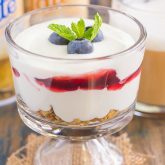 Simple, decadent, and the best little cheesecake bite in one! And then there was my last sweet creation: Blueberry Lemon Cheesecake Bites. It’s almost the same as the strawberry version, but with blueberry jam spread on top and a touch of lemon zest. Fruity, fresh, and flavorful…what more could you ask for? All four of these simple snack crackers took about 5 minutes to whip up. And that means you’re just minutes away from a sweet or savory treat to keep your stomach full and happy. So what are you waiting for? Grab those ingredients and whip up these fun and oh-so easy snack crackers today! Like what you see? Then be sure to head to your nearest Albertsons Companies store to save $1 on cream cheese (8 ounce or larger, selected varieties) when you buy 2 (two) boxes of RITZ Crackers (10.3 ounce or larger, selected varieties). These sweet and savory snack crackers are perfect for entertaining those hungry house guests, or just as a little treat for yourself. Easy to make and even better to eat, you'll love the fresh and simple flavors of this tasty snack! In a small bowl, combine cream cheese, shredded cheese, and garlic powder. Mix well. Top with broccoli, cauliflower, and peppers. In a small bowl, combine cream cheese and shredded cheese. Mix well. 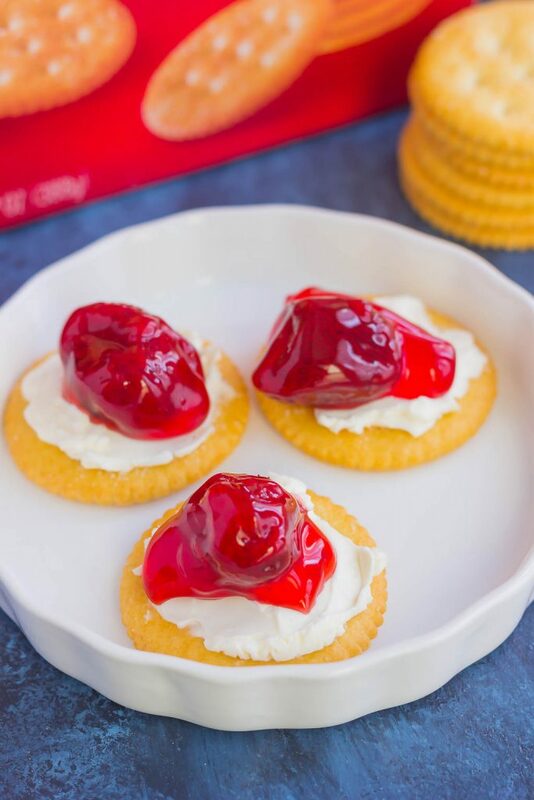 Spread cream cheese onto each cracker. Top each cracker with pie filling. Top each cracker with pie filling, followed by lemon zest. Oh my gosh, how would anyone even choose between all these amazing crackers?? I'd just have to eat them all. :) That blueberry lemon one is just calling my name, Gayle! Thanks, Sarah! These crackers make such a good snack! I usually always have Ritz crackers at home (the reduced sodium ones). Love all the combos you have here - perfect little bites! Hard to pick a favourite, but if I had to I'd say it would be jalapeno popper version cause girl loves spice :) This would make a lovely spread for entertaining and something to please everyone! Throw in a cocktail and you got yourself a little party ;) Pinned! Cheers to a lovely weekend, my friend! Aren't Ritz crackers so good? I usually keep them on hand, too. And yesss to the jalapeno popper version! :) Thanks for the sweet comment and pin, friend! Happy weekend to you! 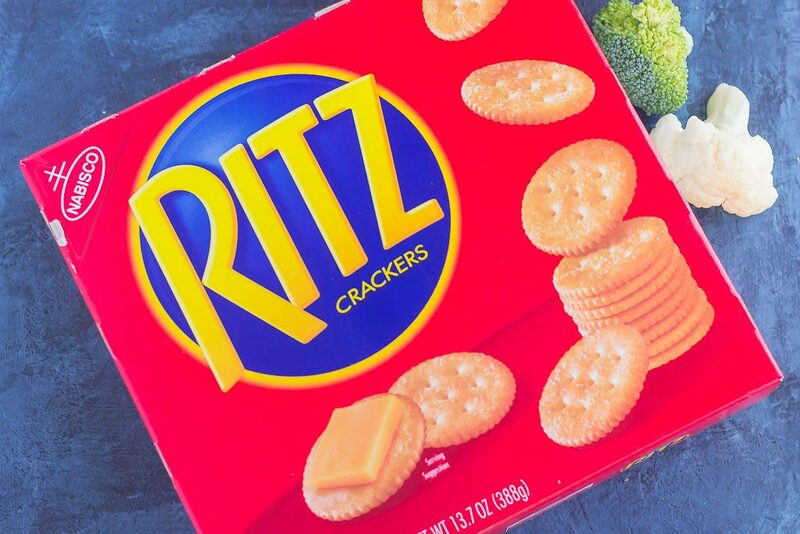 Aren't Ritz the best? My kids love them, and they're so darn versatile! Love the strawberry cheesecake version! These all look so good but that Blueberry Lemon is calling my name!! Perfect for the breaks I'll be taking from my outdoor projects! how fun! I love all the toppings, my favorite is the veggie one since I lovee all my veggies ! Love RITZ Crackers! These look so delicious with these creative toppings! Need to try them asap! Thanks for the cracker love, Mira! 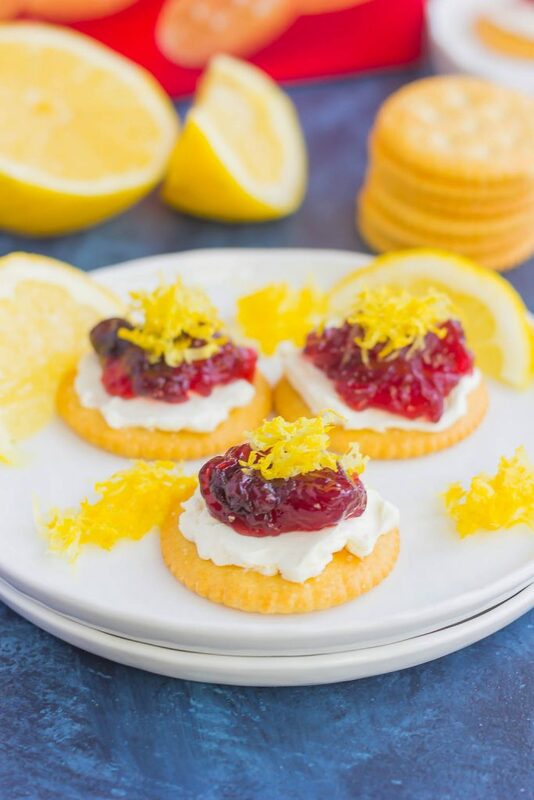 I love each and every one of these Ritz cracker creation Gayle! I'm a huge snacker and I'd enjoy these on my own or serving as appetizers! Such a beautiful little snacks. Perfect for parties. Sounds like a good plan, Milena!